For several months, I’ve been working with my four-year-old at beginning reading. Sight words come easily to him — but sounding out words is a challenge. That’s why I love to do lots of hands-on learning to teach this developmental skill. 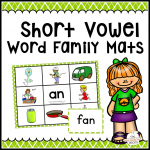 Along the way I’ve shared five free word family activities for short a. Now you can see them all in one place! Did I just call these fabulous? I guess I did. That’s not very humble of me. But I did work really hard at them – and they’ve been great learning tools for my son. You can use these in a classroom as learning centers – or make a learning center right at your kitchen table. I’m going to share them in order from easiest to most challenging. 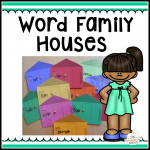 You’ll find 8 word family houses that can be printed on cardstock, cut apart, laminated, and easily assembled. Kids will love how quickly they can zip through this learning activity. Get them by visiting this post. These take a little time to assemble, but I think it’s so worth it. You’ll find eight picture mats along with eight word cards for each word family. Print, laminate, and attach velcro dots so your student can read the word and match it to the picture. Some of the words are a bit unfamiliar, so it’s a great vocabulary builder too! I’ve heard from several readers who found these especially helpful for children with special needs. My Four will do a stack of these pages without complaint. Get them by visiting this post. I love how these versatile mats turned out! They’re two-sided when you print front to back. One one side your child can simply match the milk cap letters to the letters. 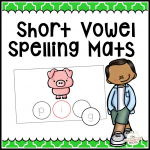 On the reverse, he can guess the spelling — then slide down the letters and flip over the mat to check his work. Bottle cap letter mats are included too (with smaller circles). Bonus: you can make milk cap letters just like mine — with a free pattern you can get here. For the spelling mats, visit this post. I admit it: assembling this one is a bit tedious. But it’s worth it! Your students will be able to compare words from all the different word families as they read each circle one by one and match it to the correct flower. Read more about it and get the printable here. When I first created this game a few months ago, it was too challenging for my four-year-old. But now that he’s reading short a word family words with much more ease, he asks to play it! You’ll need at least two students to play this game together. Get the printable in this post. I hope you’ve found some learning centers you can use in your classroom or at home! P.S. Did you know I’ve bundled my freebies for easy downloading? Just click on the images to get to my shop! Good gracious. This is awesome. I saw most of these activities on your individual posts, but I missed the word family UNO game! I really want to try the Word Family flower garden game with my fella, too. He might able to begin that activity now. 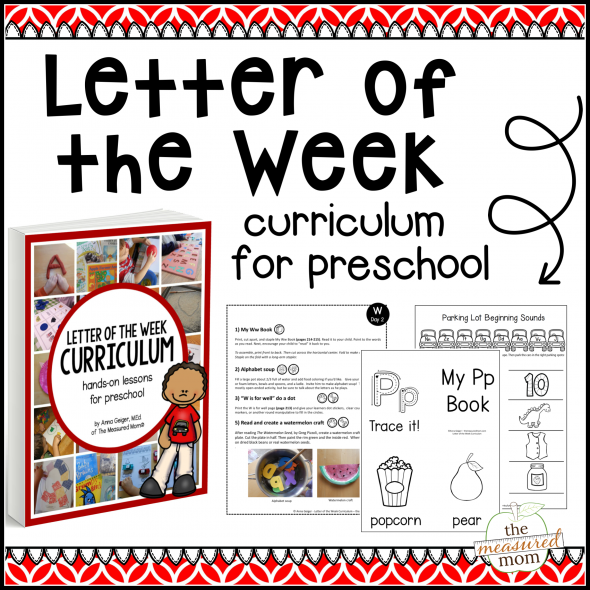 Thanks for putting these resources all in one post, Anna! It really does help make it convenient. Hi Caroline, I’m glad rounding them up was useful for you! It was nice because it kind of gave me a free day 🙂 I’m glad to finally have been doing this long enough to be able to write a round-up! I love the milk cap game. All of these are great hands on word work activities. Thanks for sharing. Thanks so much for checking it out, Jackie! WOW! You are amazing and very generous! I can’t wait to share these with my followers, too! Wow, THE Heidi of Heidi Songs? My daughter came home singing so many of your little songs from kindergarten last year. She loved them! Thanks SO much for sharing, Heidi! Oh, wow, I’m amazed that you have heard of HeidiSongs! And glad, too! I have just spent the last half an hour pouring over your blog. And pinning, pinning, pinning as much stuff as I could find time to pin. I am absolutely amazed at how many very creative and high quality materials you are offering here free of charge! You rock! I can’t believe that you only have as many Pinterest followers as you do. I’m going to be letting everyone know about YOU!!!!! Congratulations on a FABULOUS blog! I really love your philosophy on learning through movement, and your activities are top notch. Well done! You caught me at quiet time – I am normally not so prompt in my replies to comments. 🙂 I first heard of you because my sister taught kindergarten in California, and she was telling me about when she heard you speak. Then I asked my daughter’s teacher where she was getting all those fun songs, and she mentioned you again. I have only been blogging since January, and I have not really figured out how to get more Pinterest followers. I’d love to work more at that, but as I have four little ones (6,5,3,1 – and one coming in January) I just have to pick and choose what I focus on! Unfortunately, social media takes something of a back seat. I do love that this blog keeps me accountable so that I do more with my own kids – so I can share it! Thanks SO much for telling people about me, Heidi – that helps me so much when respected teachers like you can give me a good word 🙂 Have a great day! You bet! It is my pleasure to pass along word about hidden gems like this one! I just posted your blog post on five free short a activities on a Pinterest board that has about 25K followers! So maybe your traffic here will increase. 🙂 That one is a collaborative board that I contribute too. My own boards have about 13K followers at the moment, but it has taken a while to get there. If you would like to try out some of my products at home and do a blog review, let me know and I will send you out a few free of charge. Thank you so much for the great products. These are going to be so helpful to me as I am a sixth year teacher, but this is my first year in first grade. Thank you so much! They are awesome!! My school website is not complete yet. I started it when I was teaching second grade and I have not had a chance to go in and change things around. Sorry for the inconvenience. Your products are amazing!! Thanks so much!! You’re very welcome, Sarah! I hope you keep finding things you can use here – I have lots for first grade! It was fun to get to know you a bit on your web page. Mexican is my favorite too 🙂 Have a wonderful school year! thank you! there’s many worksheets and boring straightforward lessons out there; it is harder to find interactive fun activities when beginning to teach the vowel sounds and other reading concepts, so your page here is a welcome relief for those of us like myself who want to continue using hands-on multisensory approaches even with the more formal concepts like beginning reading. Yay! I’m always so happy to hear from readers who aren’t looking for worksheet packs. 🙂 You’re right that there’s no shortage of those… it’s a challenge to come up with creative approaches to basic reading concepts, but it’s a fun challenge – and all the more so when others can benefit too. Thanks so much for your comment, Emily!